ProRAE Guardian represents an advanced generation of real-time wireless gas detection software and serves as a mobile command center for all your threat-detection needs. It allows incident commanders and safety managers to receive instant updates of real-time data anywhere and anytime they need it. 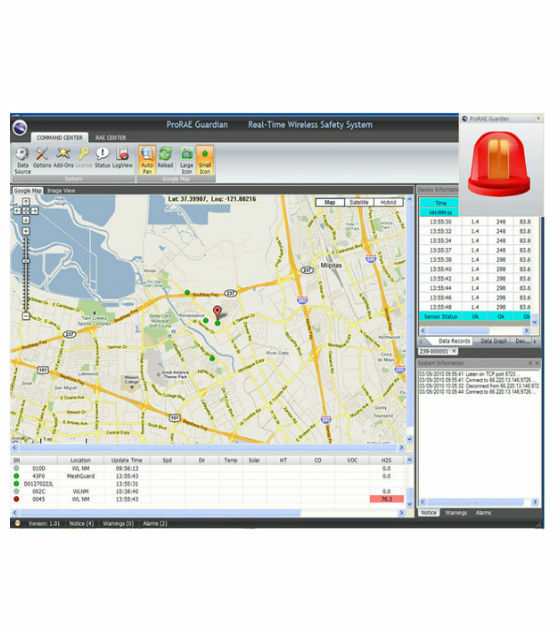 ProRAE Guardian software connects, integrates, and relays data from Honeywell Analytics and select partners wireless products to remote monitors located anywhere you choose. ProRAE Guardian CloudServer service from Honeywell Analytics Inc. provides ProRAE Guardian users the ability to aggregate and share instrument data between installations and remote sites simply and easily with no extra hardware or maintenance costs. Your PRG CloudServer is available to all your installations day and night, all the time, world-wide*. *Please refer to your PRG CloudServer Service Agreement for complete details of the service terms. 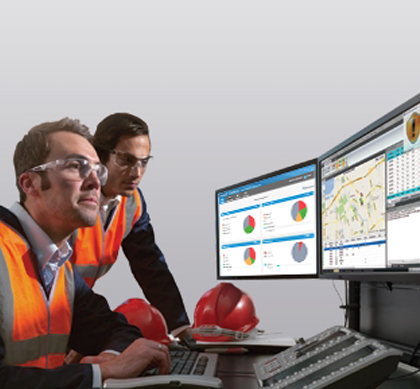 ProRAE Guardian helps incident commanders and safety managers improve safety through real-time remote monitoring of wireless gas and radiation-detector networks. 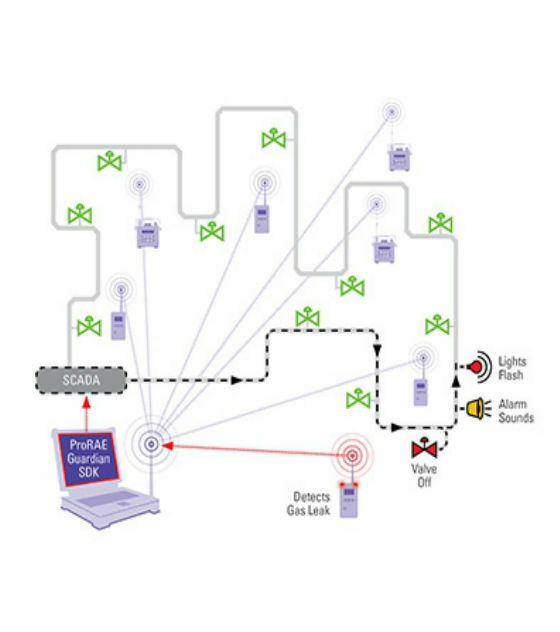 ProRAE Guardian SDK (Software Development Kit) provides third-party product vendors and systems integrators the ability to integrate real-time data from ProRAE Guardian with external networks such as SCADA (Supervisory Control And Data Acquisition), public warning, and predictive analytics systems. • Easily build custom monitoring and control solutions. • Broaden capabilities of existing applications and systems by including real-time gas and radiation data. • Rapid and cost-effective integration. • Open-platform for future expansion. • Supports all Honeywell Analytics wirelessly enabled products. • Perpetual license i.e. no term associated with the license. • ProRAE Guardian Instrument Monitoring License is a prerequisite. • Requires Product Key for existing ProRAE Guardian Instrument Monitoring License. • SDK license required for every instrument included in the Product Key.